Braxton Docking-Steiner was born to Graf Hixton Docking-Steiner on the core world of Rahne. Father had married Tyrela, a 3rd cousin to the ruling House of the realm, and was becoming quite wealthy through the family's mineral processing operations enterprise. Winton, firstborn and oldest brother by 10 years, trained in the most elite academies, and the family name (and a generous donation of S-Bills) purchased him an officership in the LCAF. He turned out to be a classic Lyran “Social general” and made several tactical blunders on the Kuritan front. A full company of Winton's men were surrounded and captured without firing a single shot. After a tour of service under Braxton's belt, tiring of the constant humiliation, and realizing his career in the LCAF was a dead-end, Braxton jumped at the chance to found his own mercenary command. Through some back-channel dealings with his brother and his staff, he acquired a jumpship, dropship and 20 Battlemechs, all mysteriously in excellent condition considering the attrition of the Succession Wars. Shortly after the acquisition, however, the family accounts were seized. Unable to acquire a contract in Lyran space, faced with total bankruptcy, and constant resentment of the LCAF, Braxton decided to do what any good merc commander would do: head to Outreach, the Mercenary's Star. His company made landfall on the planet Wing, in Free Worlds League space for some R&R. After a misunderstanding and brief scrap with the local militia, they find themselves contracted to defend the planet against the incoming LCAF force. Okay, so I'm thinking the family bank accounts got seized because not only was his brother a lousy officer, but also got caught shifting (stealing) his unit assets to his little bro. The LCAF is maybe coming to take back their misappropriated assets, and using it as an excuse to raid Wing? At this point, the PC's have 20 mechs and 2 ASF's in their dropship, but the unit consists solely of the PC's, and the jumpship/dropship crews. I can keep the scale of combat reasonable as the 30th Marik Militia is deployed on world, so handwaiving the PC's company from getting steamrolled by a battalion of LCAF mechs. Obviously this has the chops to become a classic mercenary command campaign, but in the long term I'm wondering how those 4 Wolf's Dragoon designs -- it's 3025 -- (Archer-W, Annihilator 1A, 2 FLE4's) got on the dropship, and what are the long term implications / hooks / twists to that? a SAFE Operative/counter-insurgent now (semi) retired. Before the accounts were seized, he managed to hire a few MechWarriors (the other PC's). Where can I go with this? Go nuts, I'm looking for ideas. Well, in 3025, Outreach isn't the head of the mercenary market, Galatea still is. Which is owned by the Lyrans, so that could throw a hitch into your plans. Not saying its bad, just that it could. Or you could try to branch out to one of the other Mercenary stars out there, though to be honest, I can't remember if any of them are really active in the 3025 era. But the LC raiding the FWL under the disguise of "We're just trying to repo stuff!" is nice. You could also take it further back, for more RP style of action, with bounty hunters and what not showing up. 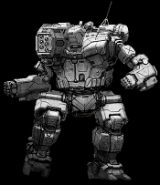 Maybe some in Mechs, maybe some without and just dealing with the characters rather than the unit. The Dragoons lost on Hesperus, IIRC.